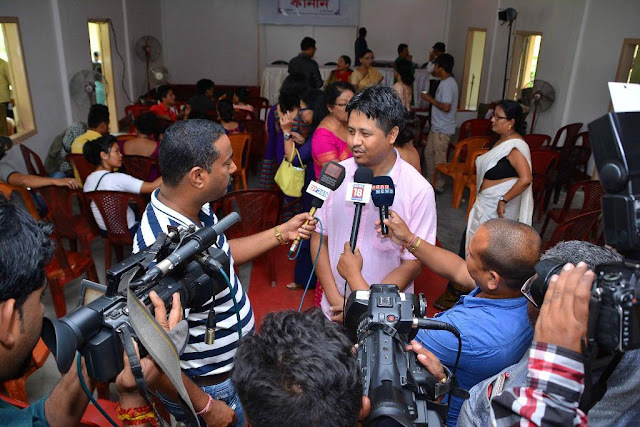 Following the footsteps of his famous uncle Jahnu Barua, who has laid a solid foundation upon which Assamese cinema could grow and flourish, Monjul Baruah is now recognised as one of the most engaging filmmaking talents to have emerged in the State. His first feature film ‘Antareen’ (2016) - a women-centric, dark psychological story by noted writer Dr Rita Choudhury, impressed critics and audiences alike. Monjul Baruah joined a growing list of new wave filmmakers who are simultaneously expressing and developing their own cinematic vocabulary. The film, cited for its sensitivity and powerful storyline, was adjudged the Best Feature Film award at the 3rd Indian Cine Film Festival in Mumbai in 2015. Monjul is now back with his second film ‘Kaaneen - A Secret Search’, revolving around human relationships and the issues of social justice, focusing yet again on a strong female protagonist. 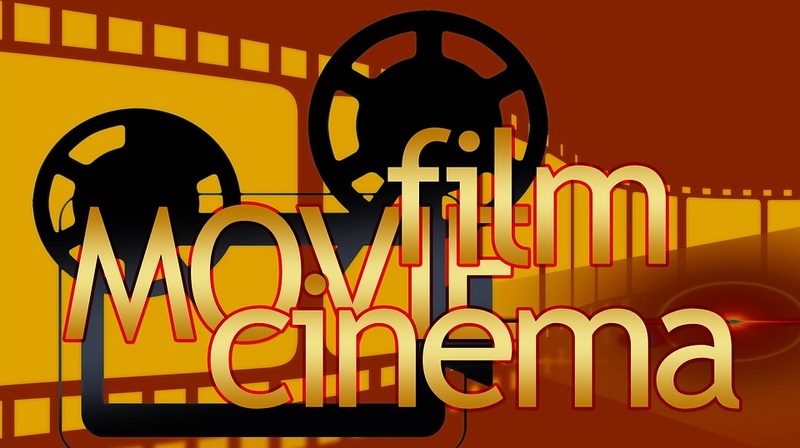 The interest in the movie was overwhelming, and it did not take too long for the critics to take note of this film at the festival circuit where it has garnered plaudits. 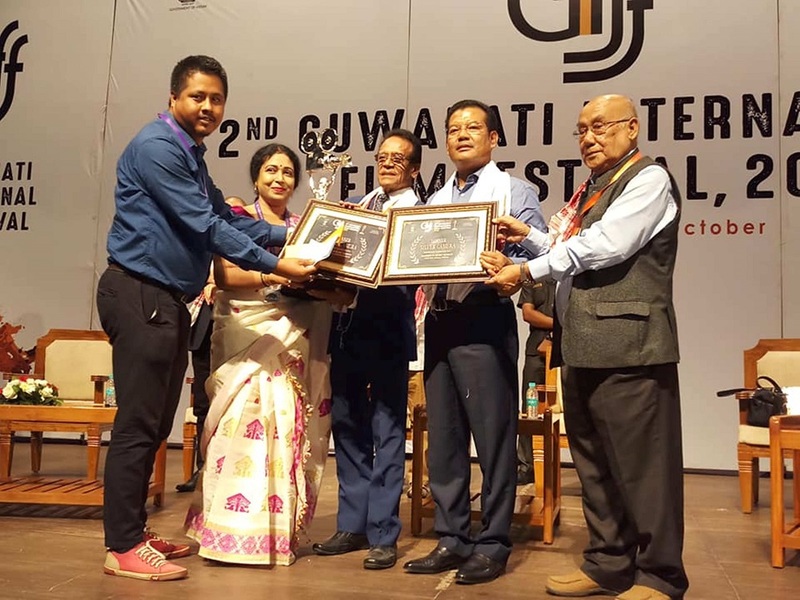 ‘Kaaneen’, which is also based on a novel by Dr Rita Choudhury, has recently bagged a major award, winning the Second Best Feature Film award of the North East at the 2nd Guwahati International Film Festival 2018. The film certainly proved that Monjul is doing more than simply carrying on a family tradition. “My first film ‘Antareen’ was also based on Dr Rita Choudhury’s novel and it gained popularity among the masses,” Monjul said. It was quite a challenge to turn a piece of literature into a visual presentation. “I always have a feeling of fear if I can do full justice to her writings, in a film,” he adds. An Assamese word, Kaaneen stands for the children born out of wedlock. The story is about the deep-seated guilt experienced by the wife of a high-profile police officer following an encounter with an abandoned infant, which triggers off a series of happenings, compelling the woman to obsessively track down her own abandoned child, born out of premarital momentary passion. But her efforts to bring him back to her life hit the high glass wall that divides them. The film’s screenplay has been penned by director Monjul Baruah himself. 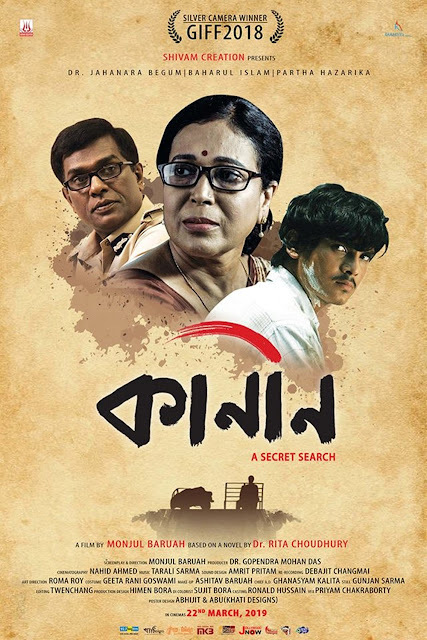 The key roles in the film have been essayed by Baharul Islam, Dr. Jahanara Begum, Purnima Saikia, Partha Hazarika, Kasvi Sarma, Rahul Gautam Sarma, Dhananjay Debnath, Jolly Bhattacharjya, Prankrishna Mahanta, Mintu Baruah, Nirod Choudhury, Tapan Kumar Benarjee, Manuj Gogoi, Popi Kakaty, Dhrubajyoti Talukdar, Disha Saikia, etc. The film’s music has been scored by Tarali Sarma, while the songs are rendered by Tarali Sarma and Sufiyara Begum. The cinematography has been done by Nahid Ahmed, sound designing has been done by Amrit Pritam Dutta, and the re-recording and mixing has been executed by Debajit Changmai. While the art direction is by Rama Roy, Sujit Borah the DI colorist, editing has been carried out by Twenchang, costume designing has been done by Gita Rani Goswami and makeup is by Ashitav Baruah. The film’s chief assistant director is Ghanashyam Kalita, while the assistant directors are Ronald Hussain and Samar Jyoti Sarkar, casting director is Ronald Hussain and production designer is Himen Borah. 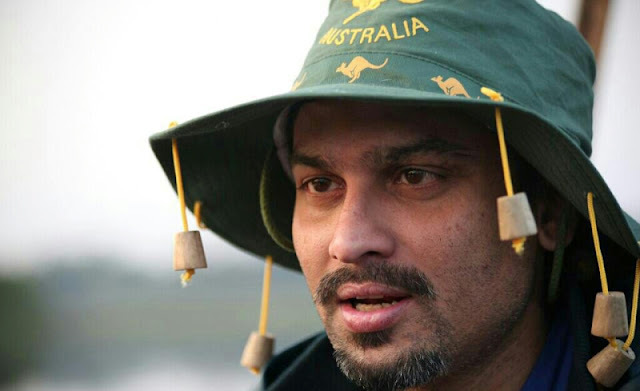 Shot in the locations of Tezpur, Pandu, Maligaon and Beltola, the film is slated to hit the theatres on March 22.